1904 Earliest written record of Catholic services held in Piedmont Valley at the school house in French District. 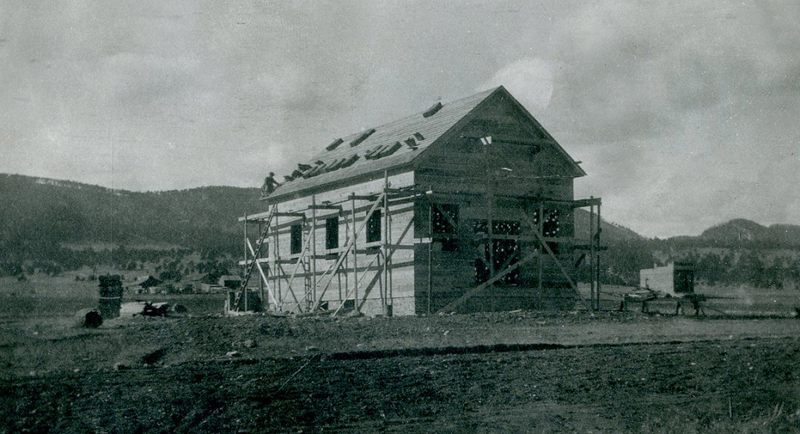 1916 Construction of St. Mary’s Catholic Church begin in the fall. 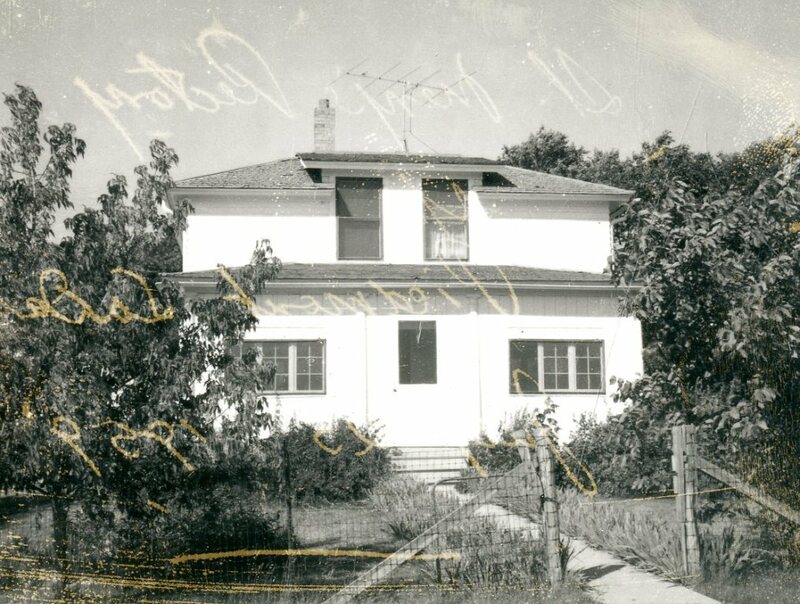 Captain C. V. Gardner donated five lots on the southwest corner of Park and Second Streets in Piedmont for the church building and rectory. P. T. Casserly, a farmer from Elkton S.D. donated an entire year’s income of $500 towards the building of the church – in memory of his wife, who had died in childbirth. Volunteers help in the construction. Father Fitzgerald celebrated the first Mass. 1959 Under the direction of Father Dominic Lavan, a Benedictine monk, the little white church and rectory were completely remodeled with volunteer help. 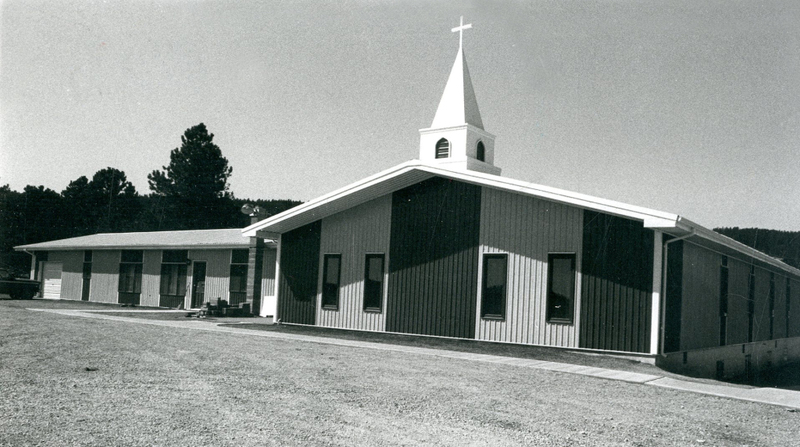 1979 A new church, Our Lady of the Black Hills, was built on land located halfway between Piedmont and Black Hawk, part of which was a gift from Richard and Heloisa Burns in memory of Richard’s mother. The $300,000 church, rectory and social center complex as built with a savings of $140,000 due to the work of dedicated volunteers. The first Mass was celebrated by Fr. Nebilo on October 10. 1983 New classrooms were added by excavating the area under the rectory. All the labor and materials were donated by parishioners – at a total savings of $16,000. 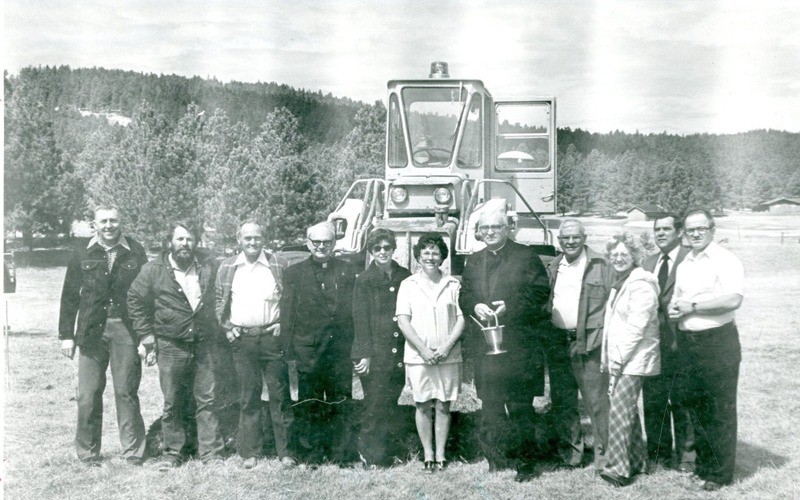 1985 Our Lady of the Black Hills parish was completely out of debt. 1996 Our Lady of the Black Hills started expansion on the existing building, adding more classrooms, office space and enlarging the church area. Under the direction of Fr. Peter Kovarik, volunteer laborers again saved the church several hundred thousand dollars in building costs. The first Mass was celebrated in the new church on the weekend before Christmas, 1996. 2005 In 2005, the interior of the church was updated. A new altar, ambo and baptismal font were made from Crazy Horse granite and brass. The former cry room at the front of the church was converted into a Blessed Sacrament chapel. A new cross for over the altar was painted by Terry Nelson. A new confessional and statue rooms were built. The former confessional/storage area was torn down and converted into a choir area. The walls were painted various shades of brown. The Stations of the Cross were hung permanently on the walls. And a new sound system was installed.